Raj Mathews, MD, passed away on July 4th at Brigham Hospital, Boston from complication of open heart surgery on July 4th. She was batch of 1959. Born in Ludhiana, she contracted rheumatic heart disease at a young age. Despite her illness, she excelled in education, securing Punjab University Merit scholarship till she joined CMC. After her MB,BS in 1964, she worked with Dr. Donald Wysham to become a cardiologist. But events took her to Ferozpur Hospital for a short time. After getting married to her fellow graduate Daniel Mathews, she moved to Miraj Medical College to join her husband. Though she started a family, the love of learning took her back to Post-Graduate Institute, Chandigarh, where she received her M.D. degree. Pursuing her lifelong dream she then moved to United States with the whole family to become Board Certified and subsequently worked as head injury specialist at Helen Hays, NY and then VA Hospital, at the same time as a clinical instructor at NJ School of Medicine and Dentistry, Newark, till retirement due to disability from a work related injury. In spite of her illness, she had a productive life and successfully raised 3 children, her pride and joy, who are very well placed. Oldest daughter is a financial officer at a software company. Second is an MD, an internist in group practice and also an instructor at Harvard Medical School. Third, with a Harvard Doctorate, is a director at a Bio-tech Pharmaceutical. All live in Boston. She is survived by husband, who is still in practice. Inspired by her spirituality and love of people, her family has been involved with homeless in Boston, medical relief in Haiti and educational projects in India which they plan to continue. 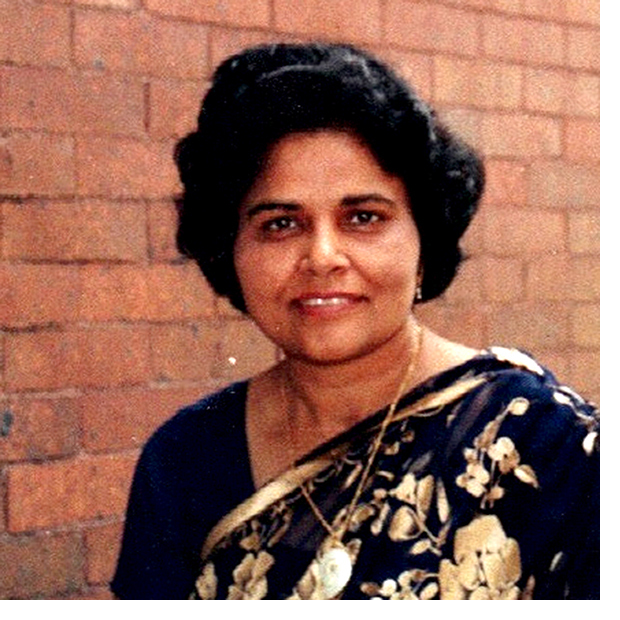 In her memory the family has set setup funds for educational and medical projects in India. If anyone likes to join in, please contact Rev. Max Marble.